The Canon EF 70-300mm f/4-5.6L IS USM Zoom lens is a great lens! I don’t own this lens but have tried it and if used right it takes very high quality images. It’s a versatile and relative compact zoom lens that’s easy to bring along on your holidays and travels. The above images show the sunrise at Huangshan or the Yellow mountain in China. 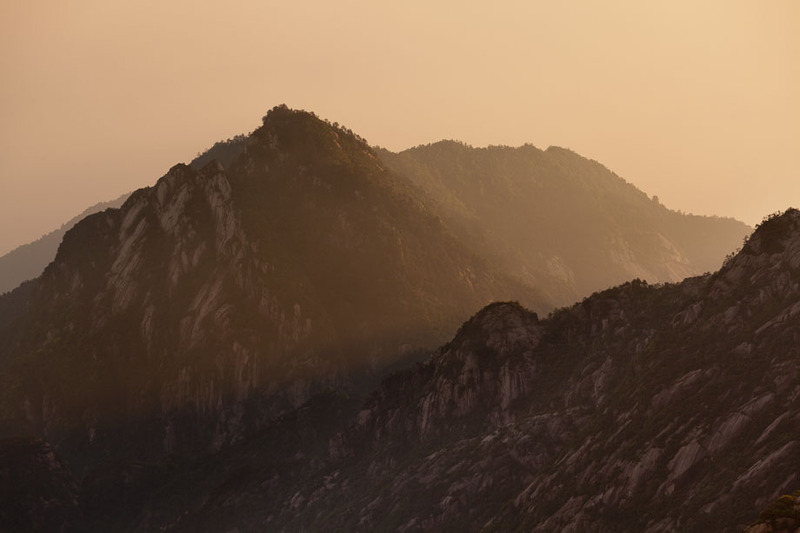 The image was captured during sunset when I visited Huangshan in China last year. The area is known for its beautiful scenery, peculiarly shaped peaks and Huangshan Pine trees. The area used to be a frequent subject of traditional Chinese paintings and literature, as well as modern photography – today it’s very tourist exploited with lots of shop, hotels and concrete trails with traffic regulations! Together with hundreds of other visitors we got up very early to watch the sun rise and illuminate the mountains with warm orange light. I have never before shared a sunrise with so many people – an excited and confusing moment. Luckily – a few minutes after the image was captured most of the people disappeared and we had the whole area for us self. The above images is a close up of a water lily from Denmark- it really show how well the lens perform in close-up situations. I’ve magnified a section to 100% so you can see the details of the little fly. I used a tripod to capture both images – I prefer the use of tripods and think it is necessary to get so sharp images with the Canon EF 70-300mm f/4-5.6L IS USM Lens in close-ups and when there is not much light. In good light conditions you can of cause handhold the camera and lens and get great shots as well. If you are looking for a good zoom lens I can really recommend the Canon EF 70-300mm f/4-5.6L IS USM. For and in-dept review of the lens and comparison to other Canon zoom lenses you should have a look at The Digital Picture website.